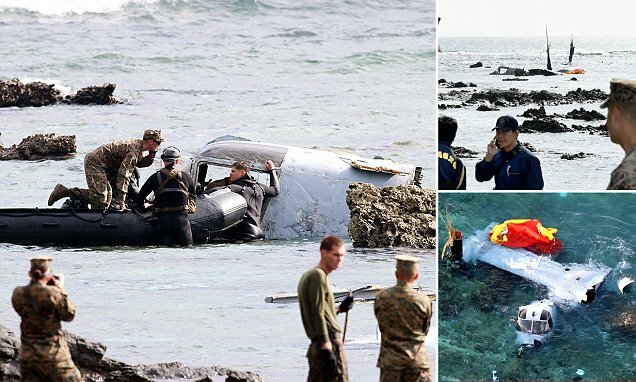 The U.S.A. Marine Corps has suspended flights of its Osprey aircraft in Japan after one of the planes crash-landed off the coast of Okinawa, injuring five crew members. The crash triggered protests on Okinawa, where anti-U.S. military sentiment is already strong. Many Okinawans were opposed to deploying the Osprey on the island due to safety concerns following a string of crashes outside Japan, including one in Hawaii last year. More than half of the 50,000 American troops in Japan are stationed on Okinawa under the Japan-US security treaty.